Whether your 16-year-old son disobeyed your explicit instructions and tooled wildly around Sunset Blvd. with his friends, or your college-age-son at UCLA or USC picked up a Los Angeles DUI charge after a big football tailgate, you’re equal parts enraged, sad, confused, and desperate. Hopefully, your son didn’t hurt anyone (or hurt himself) or rack up additional charges, such as hit and run or extreme DUI (very high blood alcohol concentration levels). First, you need to manage your internal emotions and reactions to the situation and figure out how to be constructive. Second, you want to be a good father (or mother) to your son and help set him straight, if he did do something wrong or out of step. 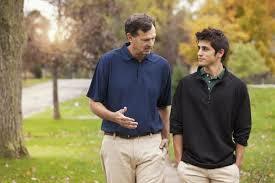 Finally, you want to help your son get effective help legally to avoid unfair trouble. First, in terms of dealing with your own emotions and actions, strive to access compassion. Before judging or yelling, take time to understand the facts. What exactly happened? Why? With whom? Etc. Appreciate that you are limited in terms of what you can control about this situation: he is old enough to drive and make his own decisions. In addition to being empathetic, work with him (and an experienced DUI attorney) to develop a strategy. Recognize your own needs that have been left unmet by the situation, and take care of them. For instance, maybe you feel a loss of control or fear for your son’s safety. How can you make yourself feel better about these issues? Engage him honestly. Your goal isn’t to litigate the past as a parent but rather to figure out what can be done going forward. If your relationship has been challenging, ask someone else to help you both work through this. Finally, appreciate that time may be of the essence. If strategic action is not taken, your son can lose his license for a long time, go to jail, face huge fines and fees, and beyond. Rather than try to figure out this system on your own, call Michael Kraut of the Kraut Law Group, an experienced former prosecutor and highly qualified Los Angeles DUI defense attorney.